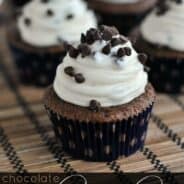 Rich chocolate cupcakes topped with a creamy Mint whipped cream frosting . 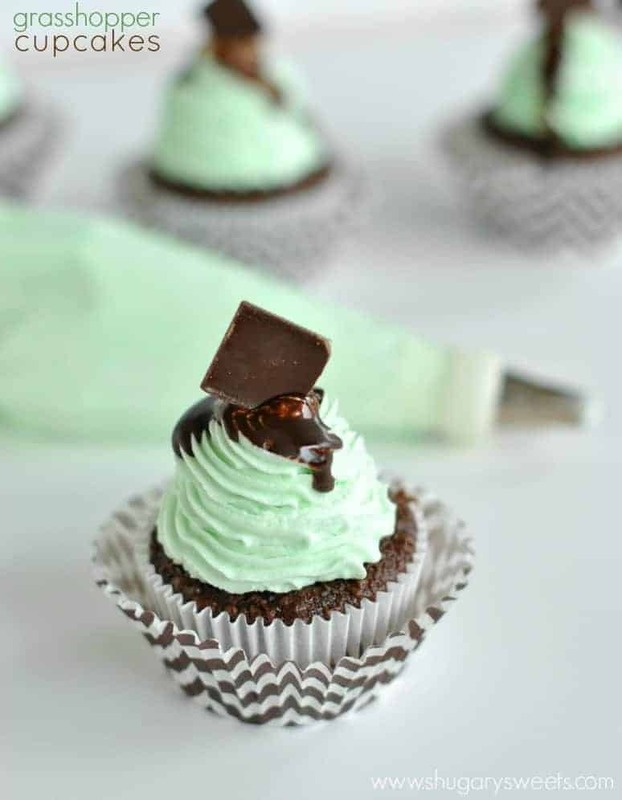 So light, so refreshing, Grasshopper Cupcakes are the perfect after dinner treat! I love going to restaurants that have bowls of mints to enjoy on the way out of the door. Like Olive Garden…here’s your Andes mints. LOVE. Our family has been blessed to have some great servers who give us a big cups worth of mints (not just one per person)! Our TGIFridays has a bowl of peppermint candies. Seriously, that little something sweet and minty is perfect after dinner. Especially if you’ve skipped dessert. Which, of course, I don’t do very often. Remember last week when I told you about my “frosting” cookbook proposal? Well, today, I’ve got another new recipe for you. I’m sorry to do this so soon. I promised not to put you in a sugar coma and bombard you with frosting, and here I am just days later with another recipe. But seriously. 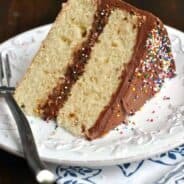 I’ve got over 70 recipes to share. It’s going to be hard to hold back. Especially when I’ve got the treats made, photographed and written. One of the things I focused on in the “cookbook that never was“…was to share new techniques for frosting. I mean, most people can make a buttercream frosting. Powdered sugar, milk, butter, flavoring…beat 5 minutes. (yes, I have over a dozen new varieties to share). But today, we’re talking whipped cream frosting. It’s light, and fluffy, and creamy. And yes, it has to stay refrigerated. If given the option at a bakery, I always choose buttercream. Always. However, when making cupcakes at home, I love fresh whipped cream frosting. There is a time and place for buttercream, but as a sweet minty dessert for after dinner, whipped cream frosting is begging to be eaten! I’ve again used my favorite dark chocolate cupcake recipe as a base, but cutting the recipe in half (making about a dozen cupcakes). Use whatever cupcake recipe YOU like. 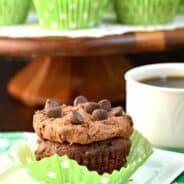 If you’re using the full recipe or a boxed mix, you will want to double the frosting recipe below. Top these with a little chocolate syrup (or hot fudge) and an Andes mint for a fun garnish! Or just spoon the whipped cream frosting out of the bowl with graham crackers. You decided. ENJOY! In a large mixing bowl, beat heavy cream with a whisk (attached to a stand mixer or a handheld electric mixer) for 2-3 minutes until thickened. Slowly beat in the powdered sugar, mint extract and green food coloring. Frost cupcakes, cake or brownie and drizzle with chocolate syrup. Top with mint candies. Tip 32 was used to frost cupcakes in photo above. Recipe will frost 12 cupcakes, one 13x9 pan of brownies or a 2 layer 8 inch cake. 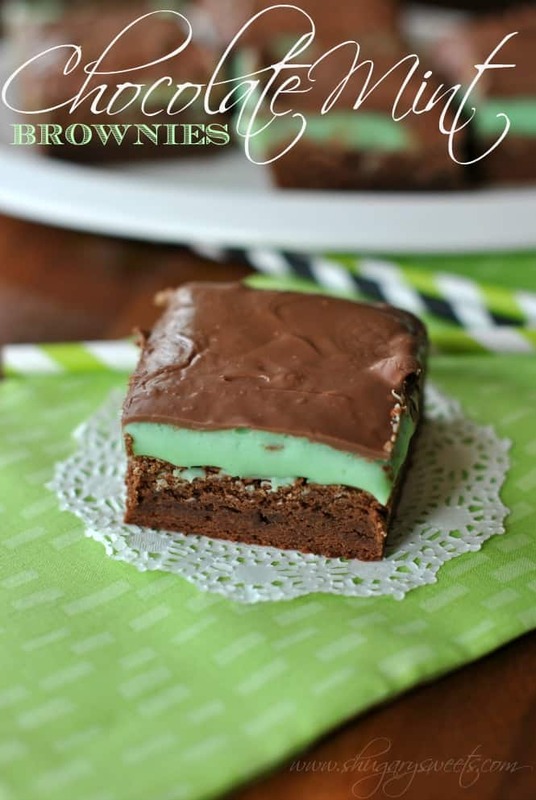 Chocolate Mint Brownies: delicious, fudgy and full of mint flavor! 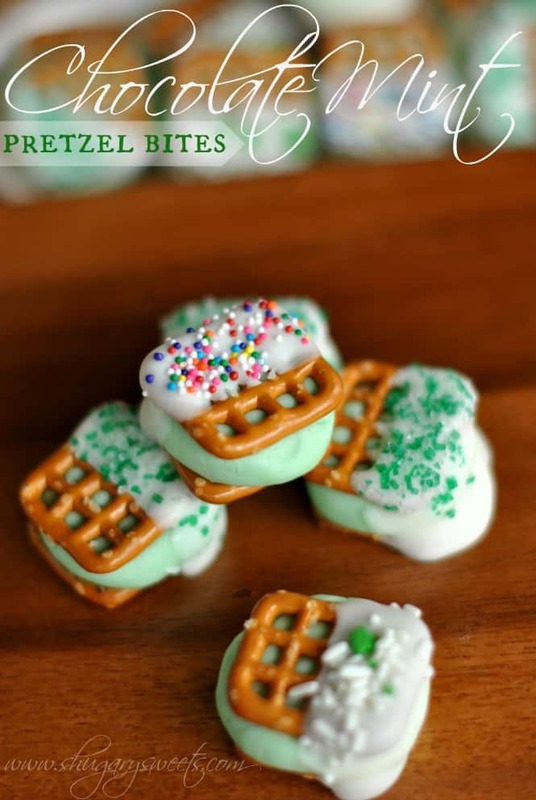 Chocolate Mint Pretzel Bites: such a fun treat to make with the kids! 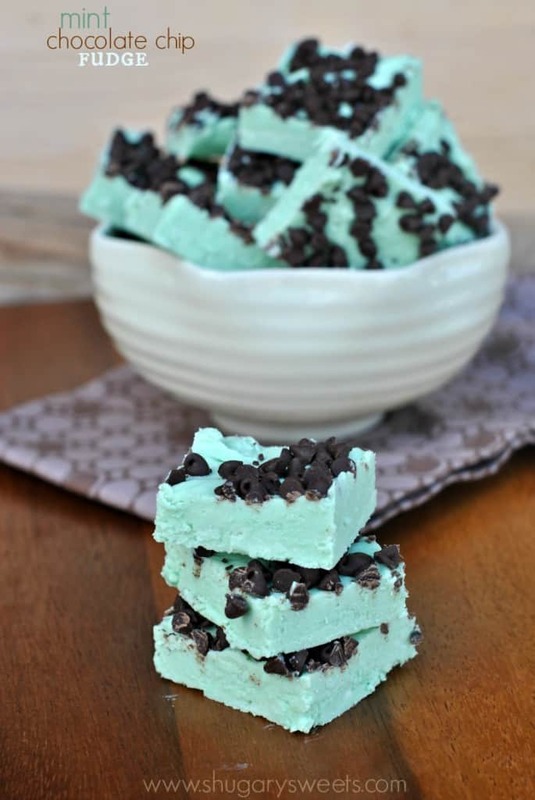 Easy Chocolate Mint Fudge recipe! I agree. Love chocolate mint! And Frango mints? OMG yummy! Those Andes mints are one of the reasons I love Olive Garden so much!!! Mint and chocolate is such a great combo. Gorgeous cupcakes girl!!! Thanks Kelly. I love whipped cream frosting!!! Whipped cream frosting is my FAVORITE. I love love love it! You had me at Grasshopper. In the late 1950s my mom and I would go out to dinner and then retire to the “lounge” for a “little cocktail” (illicit, since I was only 18) and it was always a grasshopper. I’ve had a nostalgic love for the flavor all these years. I love whipped cream frosting too. When I see Cool-whip in a recipe I automatically hit the delete key. Love your blog. Love whipped cream frostings! I would have no discipline around of bowl of this and a spoon! I always look forward to those mints at Olive Garden 🙂 Love this icing too – light, whipped – yum! “Grasshopper” recipes always make me smile. Such a fun name! These cupcakes are super cute. 1. I love Andes mints. 3.I’m so sorry about the canceled book proposal! I totally get it though–I’m excited to see all the yummy frostings you have to share! 4.THESE CUPCAKES: beautiful. delish. want. need. I love chocolate and mint together. I can’t wait to make some of these! 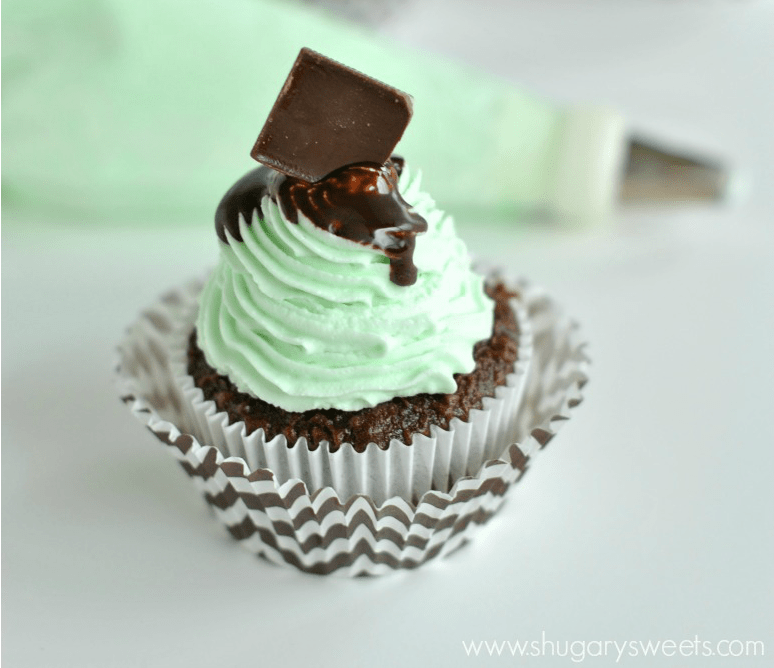 I’m a huge fan of whipped cream frosting, Aimee, and I love that this is mint flavored! These are just perfect for St. Patty’s Day. Pinning! i love the color. great for st. patty’s day! Now I don’t know whether I want buttercream or whipped cream frosting! I guess at long as it is mint, it’ll be good. 🙂 That green is a really pretty shade! These are gorgeous! 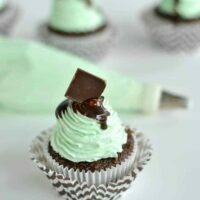 Never can go wrong with mint and chocolate that’s for sure! Oh my gosh, mint flavored whipped cream, I die. I just might have to make a batch to have tomorrow night. By itself. Just because. YESS!!! Whipped cream frosting is totally the way to go! I mean— nothing even compares. I <3 these! Oh my, I am drooling over these cupcake! Divine.